We love the Pop Chart Lab and their wonderful, creative creations, many of which focus on food and drink. 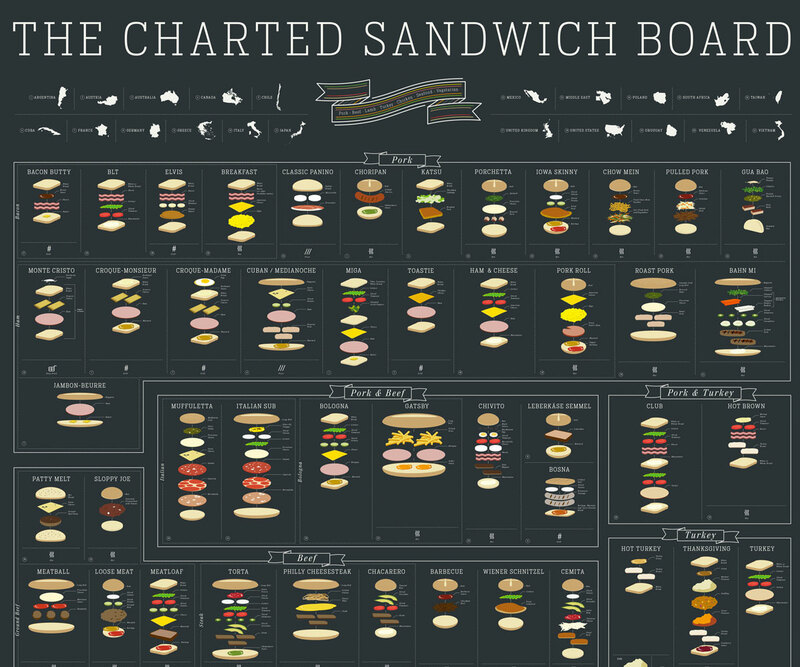 The latest to catch our eye is this monster poster, The Charted Sandwich Board, a chart of 90 hand drawn sandwiches. Each sandwich has been “sorted by primary ingredient, along with notations for country of origin and serving temp,” notes the Pop Chart Lab website. It’s an extensive collection that’s beautifully presented, as you can see from the image. Take a trip arpund the world in 18 sandwiches.